يشكل فندق Salamanca Inn Hotel بموقعه الممتاز في قلب هذه المنطقة الرائعة كنقطة انطلاق ممتازة لاستكشاف المدينة. يقع مركز المدينة المثير على بعد 1 km فقط. يشكل هذا الفندق ملاذاَ مريحاً للاسترخاء ويمنح زواره فرصة للاستجمام والتجدد، وهو يقع على بعد خطوات من المعالم السياحية الكثيرة للمدينة. يعمل Salamanca Inn Hotel على ضمان إقامة مريحة لضيوفه من خلال خدماته الممتازة وحسن ضيافته. يمكن لضيوف الفندق الاستمتاع بالميزات التالية على أرض الفندق: مكتب الاستقبال على مدار الساعة, مرافق مخصصة لذوي الاحتياجات الخاصة, تسجيل وصول/خروج سريع, تخزين الأمتعة, واي فاي في المناطق العامة. تعكس غرف الفندق البالغ عددها 65 المنتشرة في 3 طوابق جواً من الدفء والألفة.خدمات عصرية مثل تلفزيون بشاشة مسطحة, سجاد, بياضات, مناشف, اتصال لاسلكي بالإنترنت موجودة في بعض الغرف المختارة. يقدم الفندق خدمات رائعة كمثل حوض استحمام ساخن, حمام سباحة داخلي, سبا لمساعدتك على الاسترخاء بعد نهار طويل من النشاط والتجوال في المدينة. إن كنت تتطلع إلى إقامة مريحة وهادئة في المدينة، فستجد في Salamanca Inn Hotel بيتك الثاني. 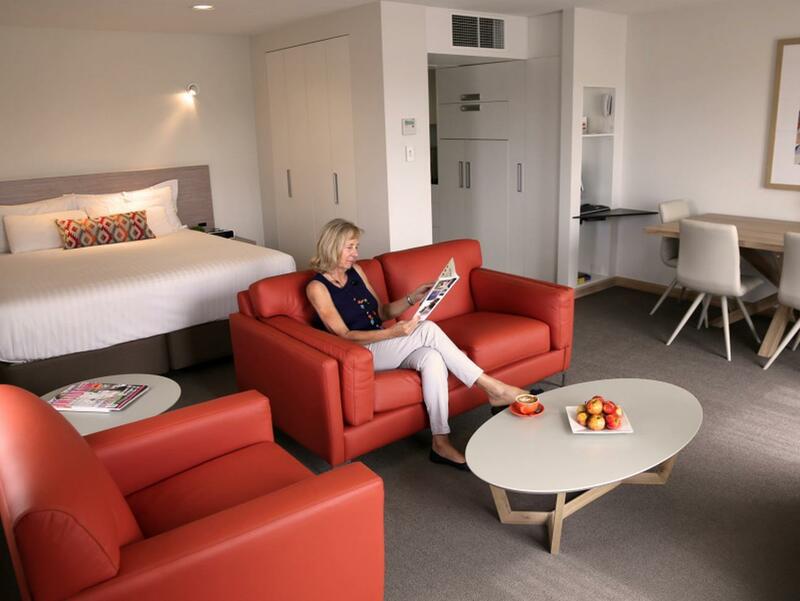 Just a few steps away from the Salamanca Market Clean room. We stayed in the 2 bedroom suite. Wished we chose the 3 bedroom. We had 4 adults and 2 kids. Toilet was upstairs, a little inconvenient. Simple kitchenette. We didn't do any cooking though Laundry and dryer service is free but it's in the second floor and you can only use it till 9pm (because of the noise disturbing the guests i think) Staff were friendly The pool was in door and warm and it has a jaccuzzi but we did not use the pool The best thing about this hotel is the location! we stayed at the two bedroom apartment. 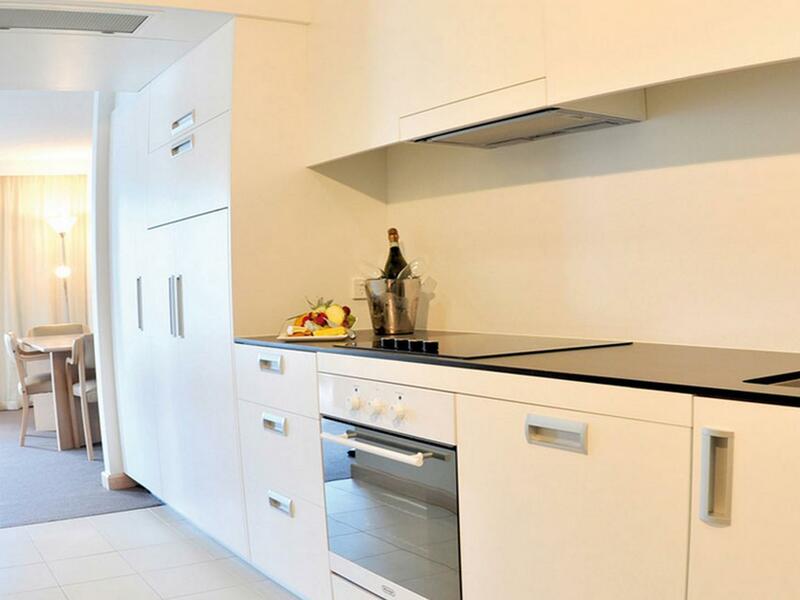 the two level apartment has full kitchen. Main bedroom and bathroom are on the upper floor and downstairs is the twin bedroom , living room , balcony and kitchen. Perfect location to Salamanca market, it is just right around the corner. walking distance to the wharf. You can visit , Battery Point, the peaceful and historic neighborhood for food just behind the hotel. Sandy bay is just around 10 minutes drive , there are two supermarket coles express and woolworth. good location very convenient except for staff not so friendly. Amidst good reviews and having had good previous experiences we hit a bad day. Our room was great and overall the hotel remains in the top end of Hobart accomodation. Our experience was spoilt due to management not putting enough staff on in the breakfast room. Double time obviously an issue. This is the result of being MEAN. It was mothers Day !! We booked the Winter Special, includes complimentary breakfast. Arrived at the breakfast room at 9.15. Buffet breakfast was set out but almost empty. 30 + patrons awaited service by one front of house for hot breakfast orders. We learnt only one cook was rostered on !! We asked politely for service to the overworked floor staff to be told there was an hours wait for hot breakfast !!! Check out is in 45 minutes . The waiter said there were external bookings for Mothers Days and he did not know why there were no staff allocated. Other hotel guests were seen leaving without any service or breakfast. We sought redress at reception to be told it is Sunday and staff are not rostered on !!! This is an objective review and we find it hard to believe standards could slip so far. Please review your human resources and return to higher standards. AND why offer services that cannot be provided. We where inHobart for a funeral and had time commitments. We were very disappointed that our expectations were not met. Reception, front of house server and chef did not handle well the questions we asked regarding the way the breakfast worked. So disappointing. The location is fantastic right next to the Saturday Salamanca market and restaurants etc, the staff were all super friendly and helpful, the room was spacious clean and nicely designed, but the beds were awful!!! The main double bed was only a small double, not the usual king / queen size you would expect in a hotel. Not sure why as the room was plenty big enough to have a proper sized bed. We're pretty small, but the bed was way too small for us to sleep with our 20 month old son between us. The mattress was very soft and so we spent the whole night trying not to roll off the edge. The worst night's sleep of the trip, which is saying something since the rest of the time we slept in the fold-out bed of a motor-home! We both woke up with back ache the next day, so the second night I slept in the other room in a single bed whilst wife and baby just about fitted into the 'double'. That mattress was also very soft, but at least I didn't spend the whole night trying not to fall out. Everything else was great, and the hotel is 100% recommended for location and service. But why such small and uncomfortable beds???? Salamanca Inn was a bit of a surprise it, was in an excellent location, quiet with large bed and a seating area. The only downside was the size of the bath/Shower, quite small and cramped, overall excellent though and highly recommended. 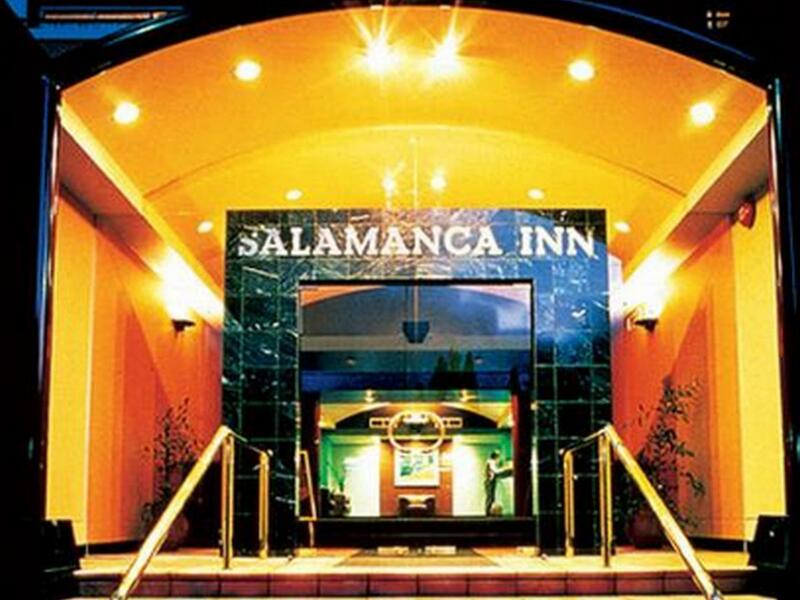 Salamanca Inn Hotel was located just around the corner from Salamanca place where many restaurants were located and only a short walking distance to the wharf area and to the city shopping. Our room had a king size bed which was very comfortable and a huge bathroom with a double shower. It also had a kitchenette which we did not use. Can highly recommend this hotel. Good location, reasonable facilities. Needs a bit of maintenance - and a full length mirror in the room would be helpful! Free parking available on site. It is just next to the weekend market. Room is big and clean. Staff was nice enough to receive my delayed luggages on my behalf. accessible to salamanca market the walking distant to the harbour. We had an excellent stay there . A very pleasant stay. My only criticism would be that the room was very hot on occasion nd I couldn't get the temperature down. 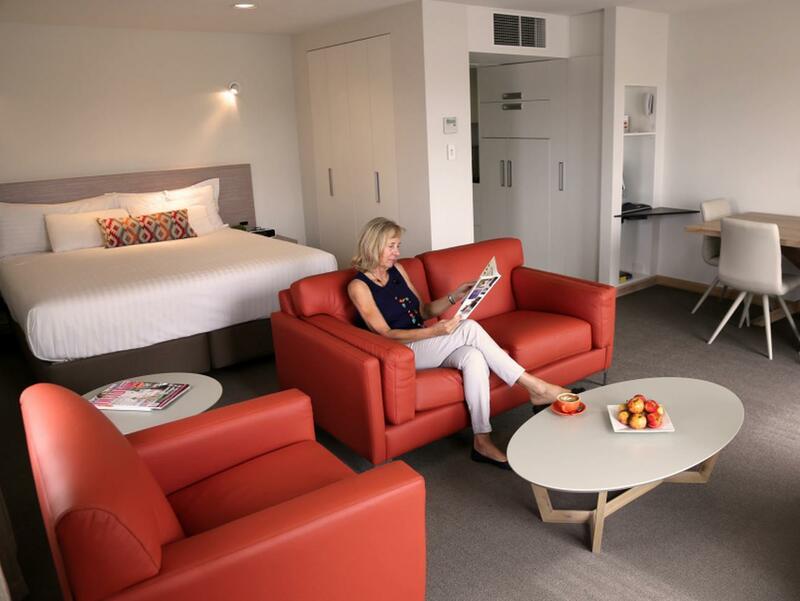 Friendly welcome, convenient location, comfortable room - just what you need for a winter break weekend. Proximity, parking and customer service! On site parking, comfy bed, great location. Very comfortable stay, staff were friendly and accommodating. Only thing that let it down was brekky and with other great options close by, perhaps it needs to be reconsidered.